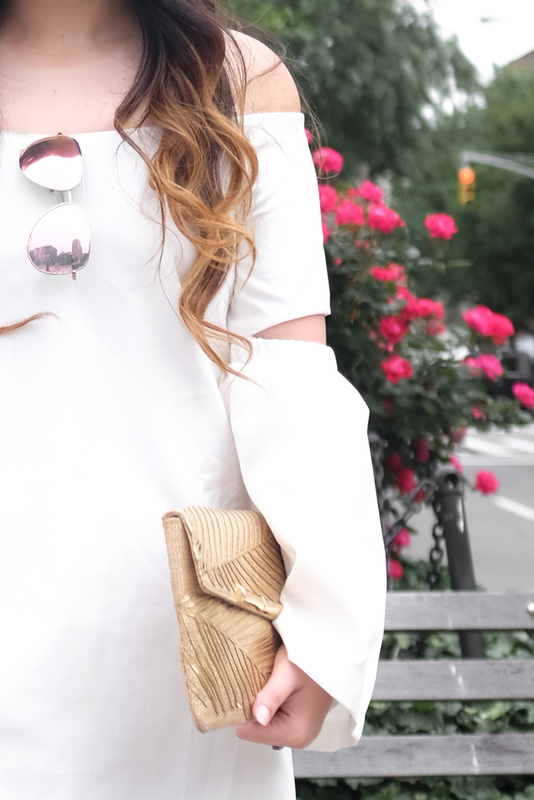 Bringing out my summer whites, starting with this simple bardot sheath with cutout bell sleeve detail. I paired it with my white pointed-toe lace up flats and a straw clutch because I was feeling super summery, despite the weather. For an added pop of color, I love these pink mirrored aviators. It breaks up the white ever so sightly. 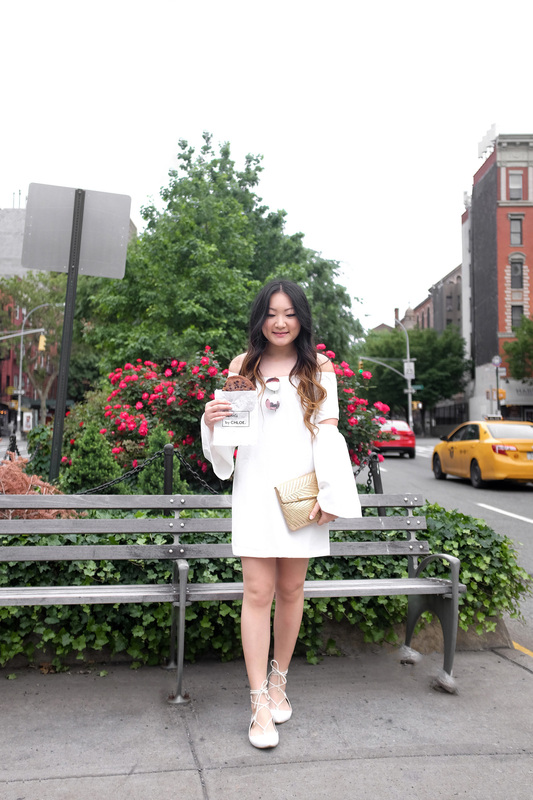 There’s something so romantic yet chic about wearing a white off-shoulder dress. The breezy neckline looks great on everyone, and with the ruffles or bell sleeve options, it adds for some whimsical fun. I always love how crisp white looks against your skin, especially after a tan. This is a style that works with just about every occasion — from the rooftop pool to brunch in the city.